#7. Beer reduces the risk of kidney stones. #8. Beer prevents heart disease. You must have heard about vitamin B7 (biotin) and B5 (pantothenic acid) being good for hair, skin and nails. All this is true since these vitamins regenerate the skin, making it smoother and suppler, while they also positively affect pigmentation reducing redness and skin spots. According to some studies, beer improves memory, prevents memory loss and fights off depression. The vitamin that does such a great job is B9 (also known as folic acid) and it is also very important for pregnant women since it supports the growth of the baby and prevents neurological birth defects. This, of course, doesn’t mean that women should resort to drinking beer; they will do the same effect by consuming asparagus, beets, salmon, root vegetables, milk wheat and beans. One Finnish study suggests that a bottle of beer a day reduces the risk of kidney stones up to 40%. Furthermore, in Central Florida Regional Hospital’s emergency department, they say that beer will help you not just fighting urinary infections but passing the kidney stone quicker and easier. But, if consumed over a longer period of time, it will not be effective but do quite the opposite. Beer increases the levels of acid in the urine resulting in the formation of kidney stones. Anyhow, it isn’t advised to drink alcohol when taking antibiotics or pain medication. Drugs will have no effect and you will just be sick. There are two ways in which beer can protect heart but it must be taken into account that this refers only to those who consume it in daily recommended amounts and are over 45 years old. Why is this so? Well, after a certain age when cholesterol and blood cloths start being more common than at a younger age, alcohol can be beneficial since it increases good cholesterol and reduces the ability of clots to form. Consuming small amounts of beer over lunch reduces the rise of a protein called fibrinogen, which is produced by the liver and which helps in clot formation. 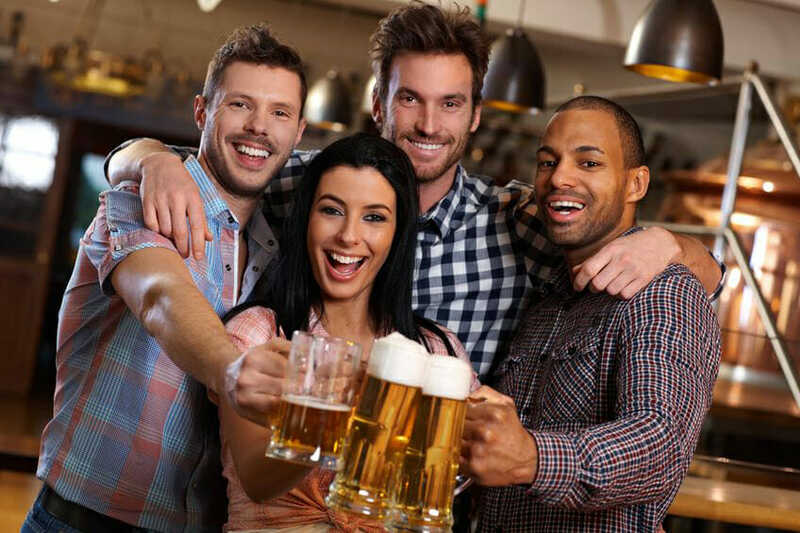 Be moderate in beer consumption and enjoy your health!